Consumers, especially in more mature e-commerce markets, are making ever-clearer demands that they themselves should be able to influence over how their purchased goods are delivered. 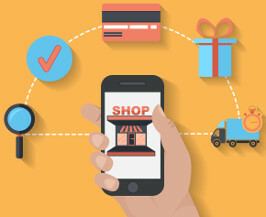 Satisfying consumers’ wishes is becoming a business-critical issue for e-tailers. “Customer obsession” is an expression you often hear today, and the winners will be those companies that best meet consumers’ demands. One of the most critical challenges today lies in the fact that the consumer is in control throughout the purchasing journey right up until delivery, but after that, their power often ends there. Many merchants have not given the consumer the opportunity to control the delivery. When consumers do get to influence what delivery options have been ordered, are given the ability to affect delivery also after check-out, and they have shaped where, when and how delivery will take place, then the logistics are working and can contribute to an even stronger relationship between the customer and seller. We have put together six recommendations that can help form the view of how consumer-driven logistics should be developed in order to strengthen consumers’ buying experiences. The first follows below. Delivery is playing an increasingly important role in the consumer’s experience of buying online. Making it clear right from the start when, how and where the delivery will take place creates confidence in the customer about every aspect of the purchase. Retail companies who know their customers from before can suggest the most suitable option based on experience. By predicting which delivery option will suit the customer best, the conversion rate for orders will most likely increase. This builds loyalty and indicates knowledge of the customer. But for new or occasional customers the ability to choose the right delivery options may be the difference between an order won or lost. Freedom of choice regarding speed and exact timing may be determining factors. The options should be clearly specified at the store’s check out, as well as which company will be responsible for the delivery. This is the first of our recommendations. The other articles in this series will be subsequently published on this blog.